Fall is a wonderful time of year and one of the many seasons most children recognize because of the changing colors of leaves. The season is full of delicious smells and tastes. It offers a great opportunity to teach children, including how a pumpkin grows to counting the number of apples a ripen tree has. There are plenty of educational opportunities to take advantage of. 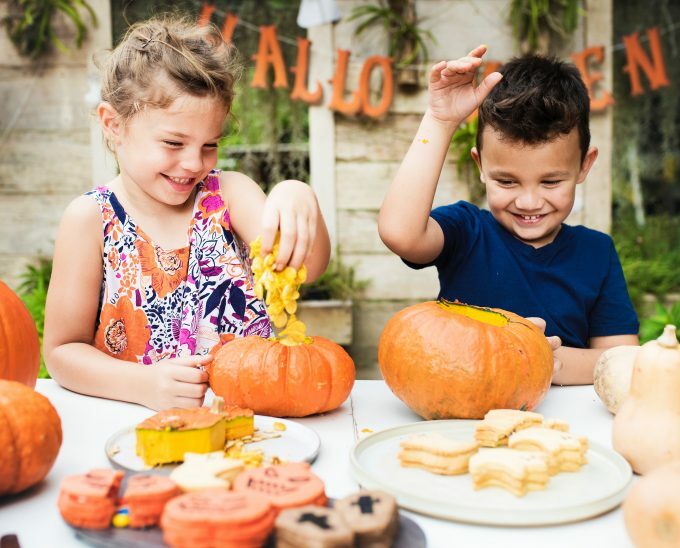 Check out these fun fall festival games and activities you can use whether you are a parent helping organize a school harvest festival or a teach who wants to do something fun for the autumn season. Gather students in teams by estimating the number of seeds in a pumpkin. Then cut open a pumpkin and let the kids count the seeds to find out if their estimate was close. Take a field trip to an apple orchard. Estimate the number of apples in a tree and then count the apples to find out if their estimate was close. Learn about fractions by cutting an apple into thirds, quarters, etc. Prepare a fall-inspired recipe, such as pumpkin or apple flavored baked goods. Study skeletons and learn about the human body’s bones and how they work. Set up booths and stations where children can play fall festival games. Check out these fun harvest party games for the school festival and win prizes! If you are at an elementary school, you can make it all about books and reading. Allow the students wear costumes as their favorite storybook characters. Hold a traditional Oktoberfest theme, but for the kids. Cook up some German sausages on grills, serve soft pretzels, potato salad, root beer, and apple strudel on the side. You can decorate with traditional Oktoberfest colors, red and blue, or the colors of the German flag that is black, red and yellow. There are plenty of traditions surrounding the fall season that are just so much fun to enjoy. Most of them are educational too. Make time to get celebrating these traditions!